Real estate sector in India has been a stage of revelation over past few decades. The financial year 2012-13 was an interesting voyage of bumps and leeway for the construction Domain. Evidently, the year has unfolded into a spectacle of encouraging luxury apartments in major cities like Bangalore, Chennai, Mumbai etc across the Indian territory. To accommodate the home aspirer’s needs, prominent builders like Amarprakash are offering international style luxurious apartments in Chennai in the name of “Palm Riviera”. This ultra-luxurious project is built from the architectural inspiration of the Floating City “Venice”. 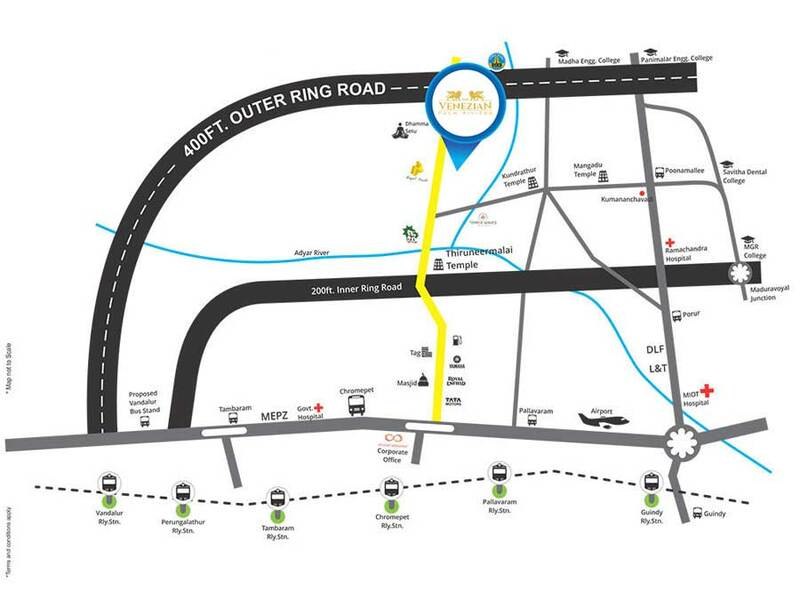 Palm Riviera is being introduced in one of the most established locations of Chennai. There is no doubt that Palm Riviera apartments in Chennai are high in demand among the luxury segment. With epitome of stunning architecture and international design, the project stands apart among people who are looking for luxury apartments for sale in Chennai.